Jesuit Father Federico Lombardi, Vatican spokesman, said decisions about how the pope would be addressed and what he would wear were made in consultation with Pope Benedict and with Cardinal Tarcisio Bertone, the chamberlain of the church, along with others. After Feb. 28, Pope Benedict will continue to wear a white cassock, but it will be a simplified version of the papal vestment, mainly without the little white cape piece on the shoulders, Father Lombardi told reporters Feb. 26. Pope Benedict will leave behind his emblematic red shoes, Father Lombardi said. Instead, he will wear brown shoes, beginning with loafers he was given as a gift last March during a visit to Leon, Mexico. 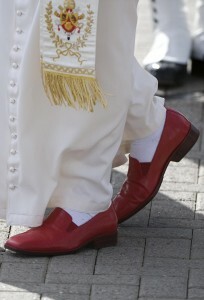 The Jesuit said the pope has found the zapatos to be very comfortable. The safety of the pope emeritus will be ensured by the Vatican police, Father Lombardi said. 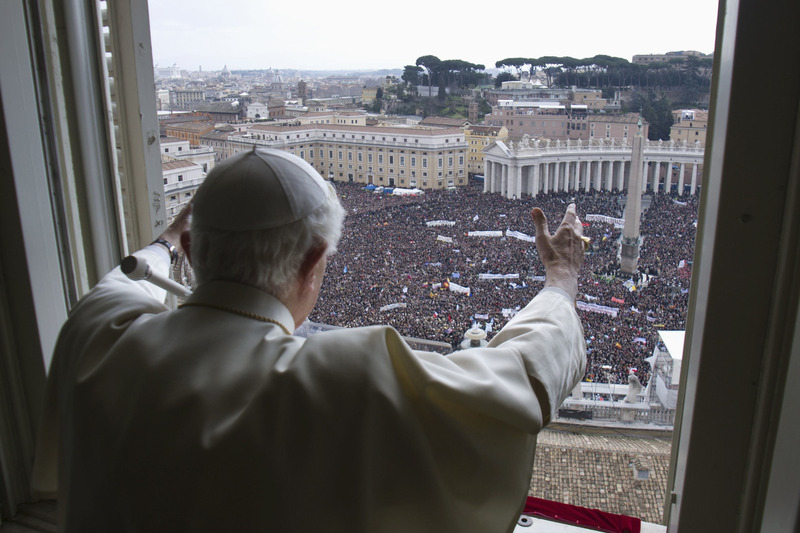 Three hours before his pontificate ends, Pope Benedict intends to fly by helicopter to the papal summer villa at Castel Gandolfo. At 8 p.m. Feb. 28 — the exact moment Pope Benedict has said he will cease being pope — the Swiss Guards stationed at the main doors of the papal villa at Castel Gandolfo will withdraw and close the doors, Father Lombardi said. The Vatican gendarmes will take over. Pope Benedict also will give the College of Cardinals his “fisherman’s ring” and seal to be broken, as is usually done upon the death of a pope, the spokesman said. The pope will go back to wearing an episcopal ring he wore as a cardinal.